Learn how to hypnotize, self hypnosis techniques, power of subconscious mind, and more! Home » Steve G Jones » *Just $10* For Steve G Jones' Ultimate Conversational Hypnosis! 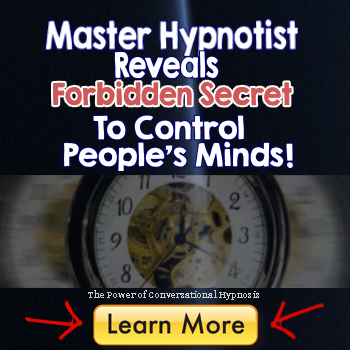 *Just $10* For Steve G Jones' Ultimate Conversational Hypnosis! 1. The advantages of conversational hypnosis, such as for sales, dating, negotiating car prices, and more. 2. The history of conversational hypnosis. 3. How you can persuade people using analog marking (embedded commands) when doing face-to-face conversation, communicating through e-mails, text messaging, phone conversations, and more. 4. How to establish rapport.